Photography is good for a lot of things. Some though, are less appreciated than others. But what about cuteness for cuteness' sake? And no, I am not talking about over compressed cat photos with deliberately poor spelling and grammar in the captions. 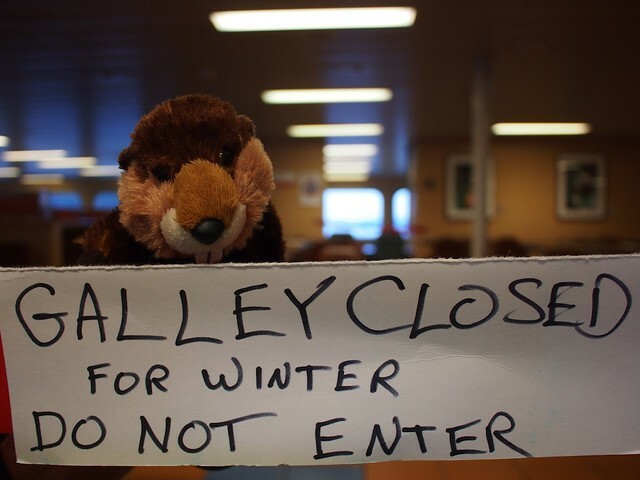 Allow me to introduce to you, Furry the Beaver. Korea was blurry, because with a two hour layover and a 45 minute late plan from Beijing, we had to move very fast through Incheon. Furry originally hails from Colorado, but was gifted to my girlfriend by one of our co-workers. She traveled back to America with me last month and at my girl's suggestion, I photo chronicled her journey. I'm still uploading the results, but there's some highlights and a link to the still-growing set on Flickr. 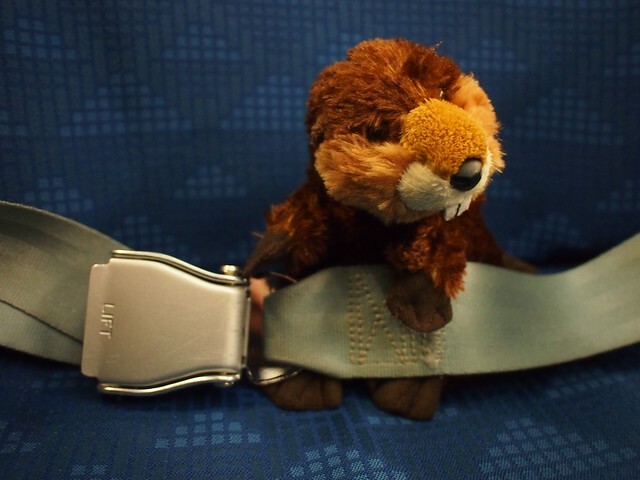 Furry obeyed the fasten seatbelt sign. 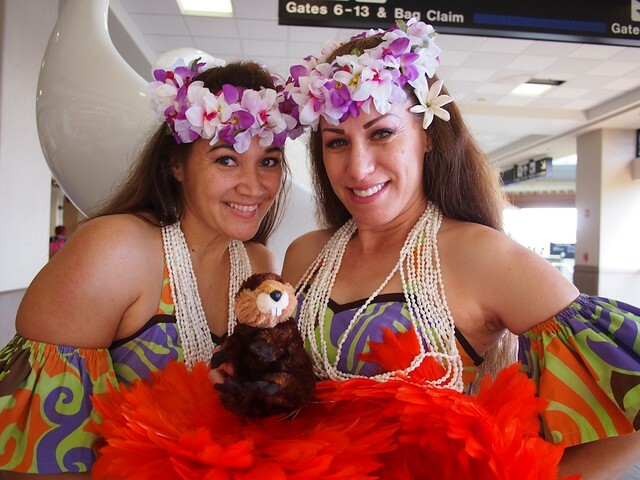 A pair of dancers in Honolulu graciously agreed to pose. The rest of the set so far. Brilliant! I love it... I can't wait to see more of Furry's adventures. 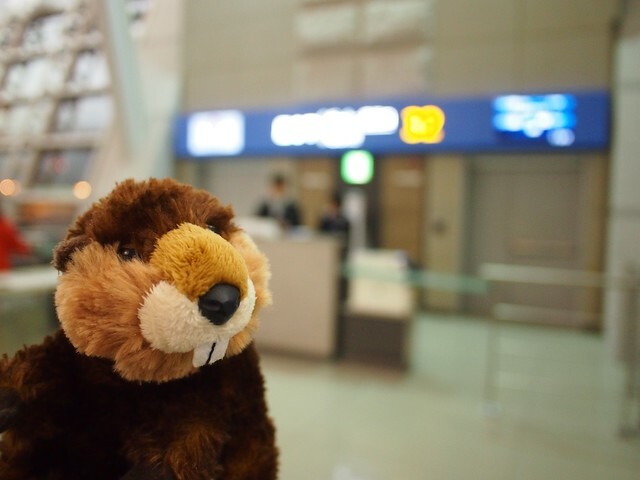 You realize of course that the beaver is considered a Canadian icon, right? It's on all our nickels, and now that the penny has been officially retired in Canada, the nickel is the lowest denomination of our currency. Yeah Yeah Yeah, cute on camera but I'm sure when left to his/her? own devices it's trouble waiting to happen.